What a magnificent spectacle it was to watch America’s tall ship, the U.S. Coast Guard Barque Eagle, come in to Reykjavik Harbor and to be able to sail with the crew for a few minutes as she came into port. This wonderful ship brought with it a crew of 200+ sailors, many of whom are young cadets from the U.S. Coast Guard Academy. The Icelandic Coast Guard and the U.S. Coast Guard have a longstanding tradition of friendship and cooperation and this was evident in the camaraderie between them during the ride-in. The Eagle is open to public tours and I hope that many Icelanders will visit it. Congress of Arctic Social Sciences in Akureyri"
I attended the opening ceremony of and co-hosted a reception in honor of the “7th International Congress of Arctic Social Sciences“in Akureyri. The event brought together about 500 scientists and officials focused on Arctic issues. I am pleased to report that the United States had a robust contingent of representatives at the Congress including universities in Alaska, Idaho, Washington, Vermont, Pennsylvania, California, Arizona, Oregon, Montana, Virginia, Iowa, Missouri, Pennsylvania, Massachussets, Maryland, South Dakota, New Hampshire, New York, as well as representatives from several U.S. government agencies such as the U.S. Arctic Research Commission, the National Science Foundation, and the North American Space Agency (NASA). The breadth and depth of U.S. participation constitute clear evidence that American and Icelandic cooperation on Arctic science and research is strong and my sense from multiple conversations I had with conference participants is that our cooperation will grow substantially over the coming months. Last night my family and I attended the performance by American soprano Barbara Bonney at Harpa and it was absolutely incredible. She mesmerized the audience with the works of Schumann, Grieg, and Strauss, all of which were beautifully accompanied by pianist Thomas Schuback. 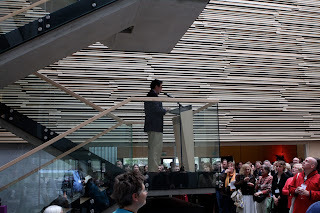 This was the last performance of the series from this year’s Reykjavik Arts Festival. 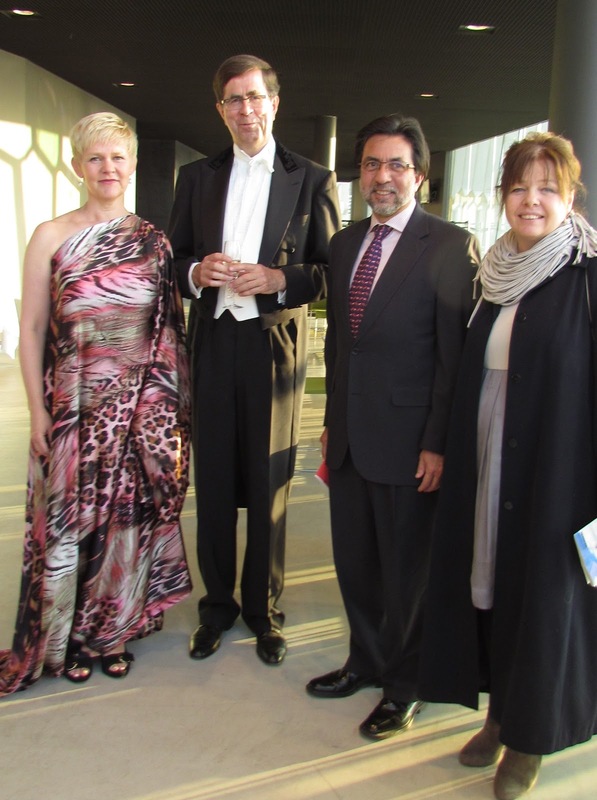 Our Embassy is proud to have supported Ms. Bonney’s performance and to have been a part of this year’s program. The beginning of our trip to the West Fjords began auspiciously when we took the ferry from Stykkisholmur to Brjanslækur. We were treated to an impromptu performance by the University of Iceland choir. Watching the majesty of Iceland's fjords while listening to the melancholy sound of Icelandic songs was an unforgettable experience and it set the tone for wonderful journey that took us to the Red Sands, Látrabjarg, Patreksfjördur, Bíldudalur, Dynjandi, Hrafnseyri, Isafjörður, Súðavik, Hólmavik, and back home to Reykjavik. The West Fjords are a must for anyone interested in exploring the many wonders that Iceland has to offer. I never ceased to be amazed at the American connections in Iceland. The Isafjörður Music School is a great example. Its first director, Ragnar Ragnar, was an American citizen of Icelandic descent whose U.S. Army tour of duty brought him back to Iceland, where he decided to stay and share his musical talents with Icelandic school children. Then there is the Bolafjall radar site, which was built by the U.S. in support of NATO's operational needs, especially search and rescue operations. There is also the University Center of the West Fjörðs, where I met American students earning their Master's Degree in Coastal and Marine Management. We are also proud to support the upcoming participation by the Ensemble ACJW (strings and oboe) from Juilliard School in New York at the Við Djúpið Music Festival. It was such a pleasure to be a part of the inaugural festivities associated with Delta’s entry into the Icelandic market. 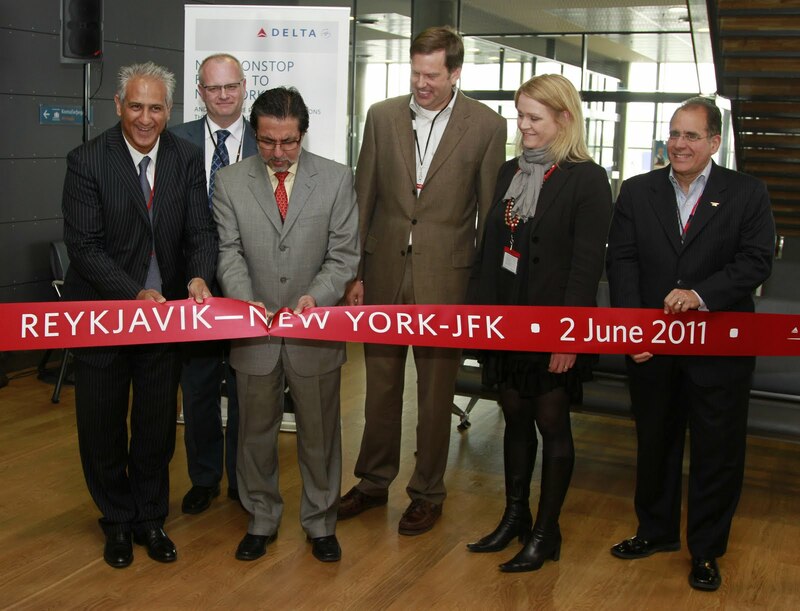 The new route between New York’s JFK and Keflavik will expand opportunities for Americans to see the wonders of Iceland and for Icelanders to access every part of the United States and Latin America quickly. It was fitting that the first flight from JFK was piloted by Captain John Magnusson, one of many highly successful Icelandic émigrés to the United States. Delta’s commitment to corporate social responsibility is already evident with its sponsorship of one of Iceland’s premier events: Culture Night. I can’t wait to be a part of those festivities as well.